In this age of internationalisation of higher education, many bilingual teachers from non-English-speaking contexts pursue their postgraduate degrees in English-speaking countries. Most programmes focus on providing content knowledge to them, while neglecting their investments. Furthermore, not much attention is given to what these bilingual teachers expect to gain from studying abroad, as well as their lived experiences and identity construction both inside and outside the classroom in English-speaking countries and when they return home. Nevertheless, these dimensions are crucial to their growth as teachers and users of English. This book explores these neglected aspects through case studies of bilinguals from various backgrounds. Through these case studies, the book examines the hopes, struggles and adaptation of bilinguals. 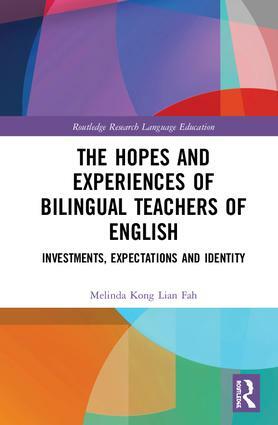 It provides insights into what international students should realistically expect when studying overseas, and how to empower bilingual teachers, users and learners of English. Melinda Kong is Senior Lecturer and Course Director of MA Teaching English to Speakers of Other Languages (TESOL) at Swinburne University of Technology, Sarawak, Malaysia. She teaches a range of subjects for MA TESOL, and for degree and foundation programmes. Her research interests include education, teacher education, internationalisation of higher education, identity, agency, international students and language learning strategies.